I had been getting down about my lack of success with the foil. It seems that every waves ends with a wipeout and that is all I had been thinking about afterwards. Now I have now found a cure. 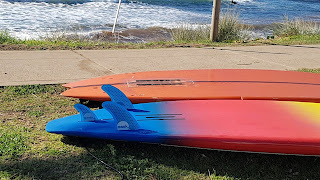 By recording my activity when I surf foil I am able to see how many waves I have caught; how fast I went and my total time surfing. And I can call up the session and review it.